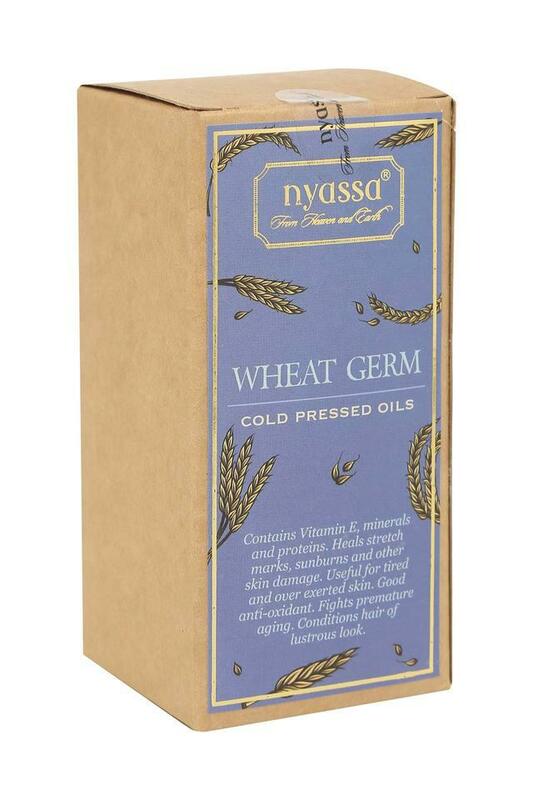 Enhance your skin and hair the much needed nutrition by getting this wheat germ cold pressed oil from Nyassa. 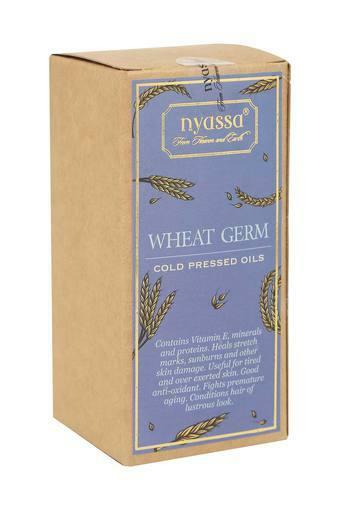 Wheat germ oil is what you need for treating tired and overexerted skin. 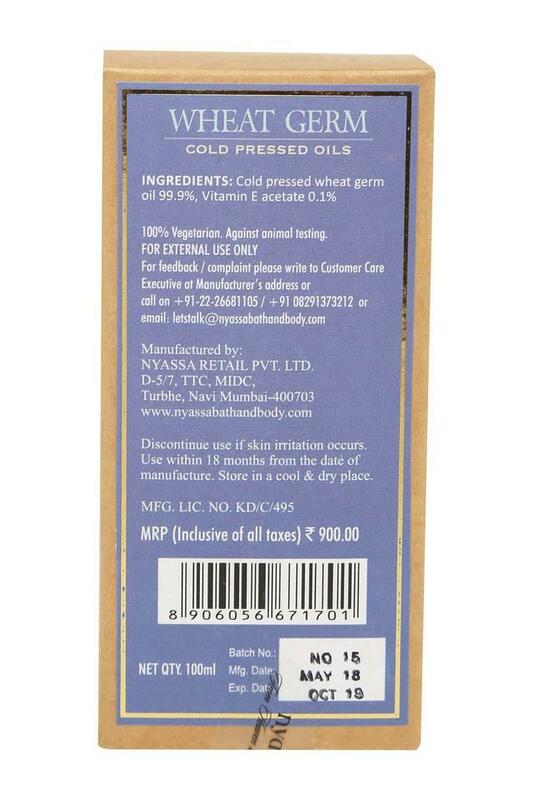 it is high content of Vitamins A, B1, B2, B3, B6 and E in this carrier oil smoothes away stretch marks to give you a flawless skin. The anti-oxidants in this oil work wonders in keeping premature aging at bay and healing sun burns. Have freshness and rejuvenation with this Wheat Germ Cold Pressed oil and drive away your skin problems.